Cryptocurrencies are the current wave and if you do not know them, then you need to double check if you are still on planet earth. Just to feed you a few bits of statistical data, in 2017, Bitcoin came second in Google Trends’ global News section while “how to buy Bitcoin” came third in the “how to” section. Fast forward to 2018, cryptocurrency still remains one of the most searched terms with a lot of interest emanating from Slovenia, Russia, Ukraine, Australia and Venezuela (the first country to host a blockchain election). As you sink deeper into these digital assets, it becomes clear to you that each is created to serve a unique purpose in the financial markets. Bitcoin is certainly unrivaled in fame but it too has a couple of setbacks that lead to people going for other alternatives like Ripple. If you are a crypto warrior looking forward to understanding the difference between the almighty Bitcoin and Ripple, then you’ll find this guide to be extremely resourceful. Bitcoin is majorly a payment system that you can use to buy goods or services. Ripple, on the other hand, is a currency settling platform that banks use to facilitate exchanges currently done by methods like SWIFT payment system. For instance, if someone sends you ether but you want to receive the amount in Bitcoins, the Ripple platform will do the swapping for you at the prevailing market prices. Ripple is represented by XRP ticker while BTC stands in for Bitcoin. It’s imperative to mention that Ripple wasn’t designed to be a payment system but there are various places online that can accept it in exchange for a good or service you are looking for. Governance and ownership systems vary sharply amongst cryptocurrencies. Bitcoin is considered to be the most decentralized, and stable blockchain. Everything from validating a transaction to forking a blockchain happens through consensus. The open source nature of the chain means any user can take part in maintaining it. Ripple is an initiative of a private company and hence its blockchain is more of a closed system. Nevertheless, most decisions are effected through a consensus-seeking approach like Bitcoin apart from serious decisions which must be supported by 80% of the community users for two good weeks. In a way, it’s okay to regard both Bitcoin and Ripple blockchains as democratic. Bitcoin is pretty huge and that’s why it sits at the top of the crypto chain. At the moment of this writing, there over 16 million btcs in circulation and their total valuation is roughly $140 billion. Ripple is the third largest cryptocurrency at the moment of this writing and there are roughly 39 billion tokens in circulation. No one starts a company without owning quite a sizable share of it. Bitcoin’s creator (Satoshi Nakamoto) is said to own about 980,000 of the possible 21 million bitcoins that will ever be created. The same thing can be seen with Ripple. The company is said to own around 62% of the total tokens. Ripple is capped at a hundred billion. Most cryptocurrencies provide their miners with incentives which are usually done through the platform’s tokens. Bitcoin miners earn several of them for validating transactions and maintaining the blockchain. Transaction fees tend to get even higher for those who need their orders executed pronto. Ripple, on the other side, is not mined and, therefore, transaction fees are burned-no one can lay a claim to them. Bitcoin may be the darling cryptocurrency amongst many holders but when it comes to transaction time, it doesn’t perform well. If we were to rank these digital assets in terms of transaction speed, Bitcoin might not make it to the top twenty. Its average transaction confirmation time is 10 minutes while Ripple takes mere seconds to validate a transaction. As we said earlier on, most decision making happens through a consensus approach where a certain number of miners (usually more than 50%) supports an idea. Consensus for most crypto coins happens through Proof of Work (POW), POS (Proof of Stake), Proof of Activity, Proof of Capacity, Proof of Burn and several other methods. POW and POS are the most adopted techniques. In the latter, miners battle to solve complex cryptographic algorithms and the one to get it right is said to have managed to add another block on the main chain and usually bags the rewards. In short, you have to prove that you have worked in order to get compensated. In proof of stake, instead of purchasing expensive mining equipment and battle with other minors to solve puzzles, you can simply own a certain percentage of the platform’s tokens to earn mining/voting rights. For instance, if you own 100 coins in staking account and someone else owns 300 coins, the latter has higher chances of being picked to validate the next block than you. Bitcoin uses POW while Ripple utilizes an iterative consensus approach to attain consensus. POW consumes a lot of power and has made Bitcoin platform attract negative views from environmentalists. Ripple, on the flipside, operates through a novel consensus approach where all the participating nodes have to get authorization first before running. Comparing Bitcoin and Ripple can give you an insight into which currency could be a better asset for long-term investment. 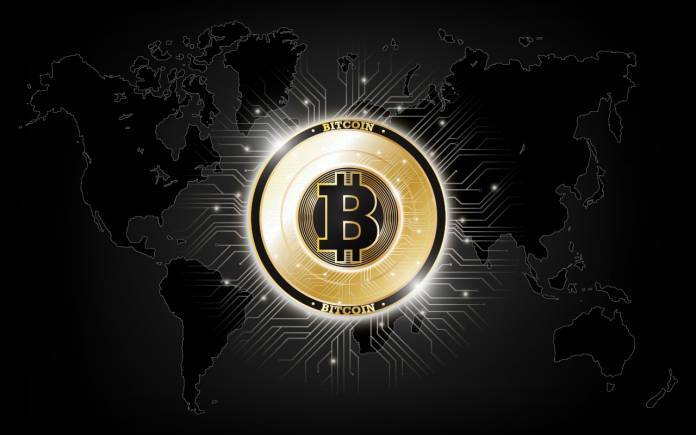 Despite numerous differences between, it might still be hard to do without these two coins because bitcoin still leads as the popular cryptocurrency for buying goods while Ripple’s exchange platform makes it one of the best go-to assets for banks. Diversification is just as good in cryptocurrencies as it is in many other things in life. Your portfolio needs to include several coins in order to mitigate losses-especially if you are a day trader. All in all, any person who invests in Ripple or Bitcoin has still made the best decision since the assets sit at the top of the list. About The Author: This article is contributed by Mark Schwarz, a cryptocurrency blogger. He started investing in crypto in 2012 and he is also a blockchain programmer who is involved in a few projects. Great post! Very informative and easy to understand! Thank you!